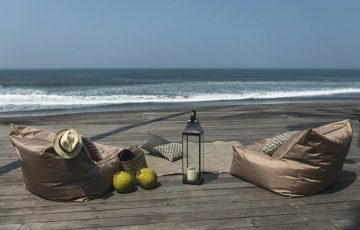 Tabanan is one of the most laid back, picturesque & gorgeous holiday destinations in Bali and the best way to take advantage of all this beauty is to stay in your own private Tabanan holiday villa. 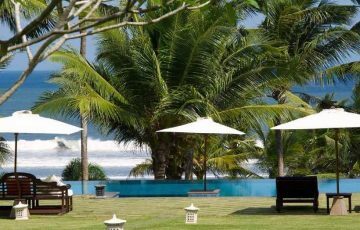 One of the best things about Tabanan is that you are also close to the famous Tanah Lot Temple as well as the popular areas of Canggu, Seseh & Pererenan. Seminyak central is a 30 mins away by taxi. 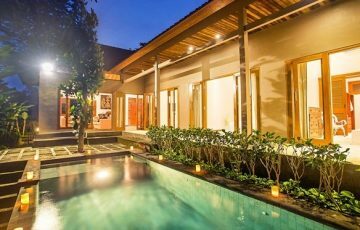 If your like many tourists who have always been staying in a Seminyak Villa or a private pool Villa in Canggu, you should really consider renting a villa in Tabanan as a viable alternative. You will be surprised by just how fabulous and convenient the area really is. perfect area to access other parts of western Bali like Tanah Lot and Balian ( which is great if your a surfer). 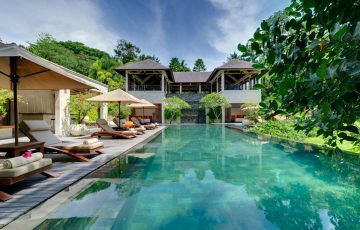 We have so many villa to rent in Tabanan but if you would like more information about other villas we have to offer please contact our reservation team today for our full range of Bali Villas to Rent. Rent Villa Iskandar in Tabanan Now - 4 Bedrooms. Family friendly, group villa rental in Bali. Contact us today! Sleeps 8, fully staffed, FREE airport pick up with in house chef. If you love privacy & luxury holiday accommodation, you must see this villa. Rent Villa Atacaya in Tabanan Now - 5 Bedrooms. 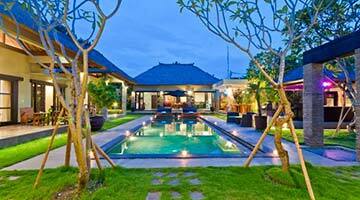 Perfect family or group holiday villa accommodation in Bali. Contact us today! Sleeps 10, fully staffed with FREE airport pick up. Live the dream and bring the whole family. 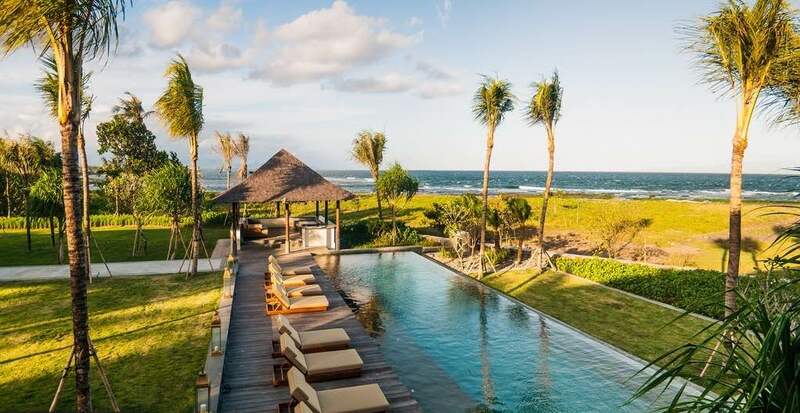 Relaxing location not far from the beach & excitement of Canggu. Rent Villa Maya Retreat in Tabanan Now - 6 Bedrooms. 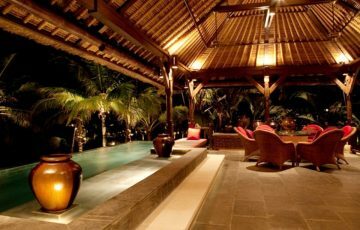 Luxurious family or group holiday villa rental in Bali. Contact us today! Sleeps 12 with FREE airport pick up. 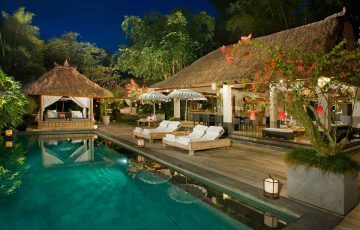 This is where you come to experience a Balinese ambiance like no where else. 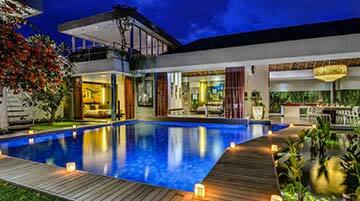 Do yourself a favour & rent this stunning villa with Bali Villa Escapes. Rent Villa Arsana Estate in Tabanan Now - 5 Bedrooms. Family or group holiday villa rental in Bali. Contact us today! Sleeps 10, fully staffed with FREE airport pick up. Live the holiday dream and rent this fabulous villa. Rent Villa Kailasha in Tabanan Now - 3 Bedrooms. Family or group holiday villa rental in Bali. Contact us today! Sleeps 6, fully staffed, chef, security with FREE airport pick up. Absolute beach front location location. Do not miss out on this gorgeous villa. 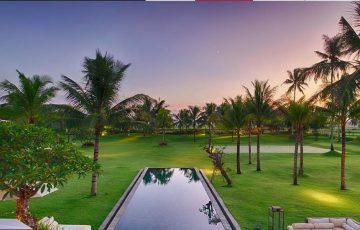 Rent Villa Arjuna Golf in Tabanan Now - 3 Bedrooms - For lovers of golf who want luxurious villa holiday accommodation in Bali. Access to Pan Pacific Nirwana Resort facilities. Sleeps 6 with FREE airport pick up. 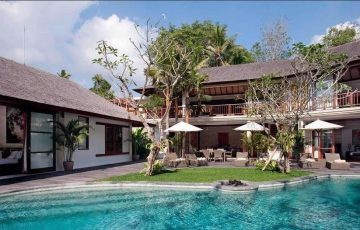 Rent Villa Nirwana in Tabanan Now - 4 Bedrooms. 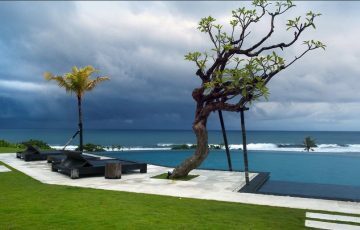 Private pool holiday villa rental in Bali. Contact us today! Sleeps 8 with FREE airport pick up. 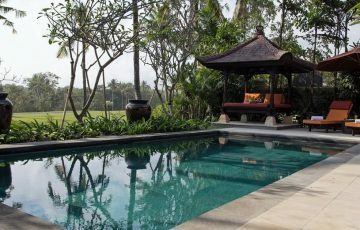 Ideal for golfers who want a superior level of luxury on their Bali golfing holiday. Rent Villa Amani Golf in Tabanan Now - 5 Bedrooms. Beachfront Golf Villa. Sleeps 10, villa staff with FREE airport pick up. Contact us today! 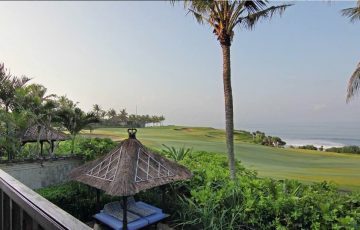 Take your group of friends or family & have the best Bali golfing holiday. Rent Villa Senja in Tabanan Now - 4 Bedrooms. Family or group holiday villa rental in Bali. Contact us today! Sleeps 8, villa staff with FREE airport pick up. Sensational ocean views. Rent Villa Ocean & Golf in Tabanan Now - 4 bedrooms. Best Price Guaranteed. Contact us today! For lovers of golf this is the perfect villa. Breathtaking views of Tanah Lot temple & the Indian Ocean with 3 trained Balinese staff to cook & clean for you. Rent Kaba Kaba Estate in Tabanan Now - 8 Bedrooms. 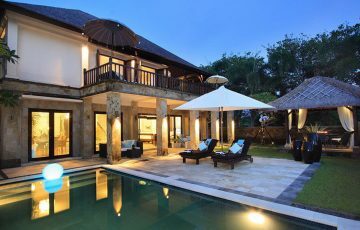 Large group or family holiday villa rental in Bali. Contact us today! Sleeps 14, breakfast included with FREE airport pick up. 5 Star luxury in private location. Rent Villa Babar in Tabanan Now - 6 Bedrooms. 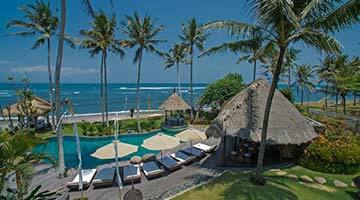 Luxurious beach front group or family holiday villa rental in Bali. Contact us today! Sleeps 12, breakfast included, fully staffed with FREE airport pick up. Live the dream & stay at this sensational villa. This will be the holiday of a lifetime. Rent Villa Nangka in Tabanan Now - 3 Bedrooms - Family or group holiday villa rental in Bali. Contact us today! Sleeps 6, breakfast included with FREE airport pick up. Budget friendly villa accommodation. Rent Villa Laut in Tabanan Today - 2 Bedrooms. Beachfront family or group holiday villa rental in Bali. Contact us now! Sleeps 4 with FREE airport pick up. 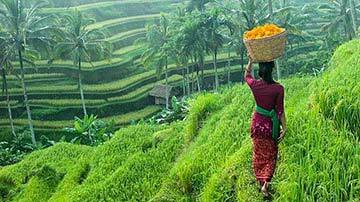 Stay in this lovely & peaceful part of Bali. Rent Villa Vedas in Tabanan Now - 5 Bedrooms. 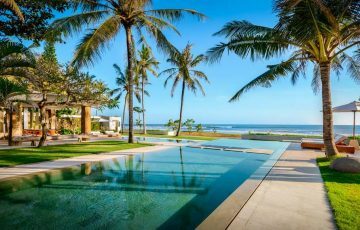 Beachfront family or group holiday villa rental in Bali. Contact us now! Sleeps 10, private butler, FREE airport pick up with breakfast included. This is the ultimate beach style villa for those that demand luxury.